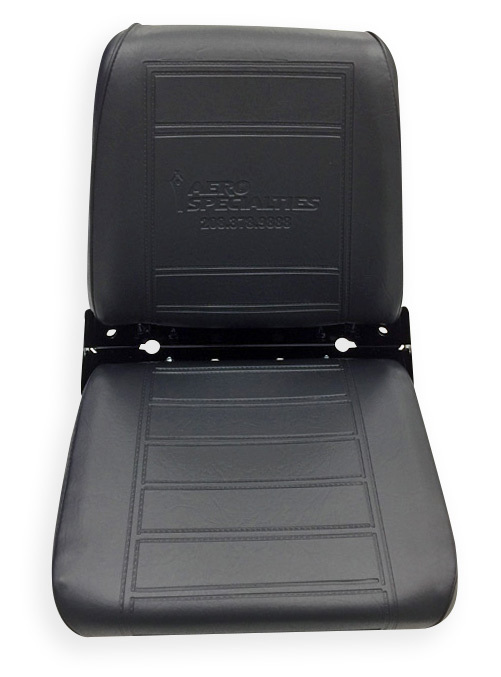 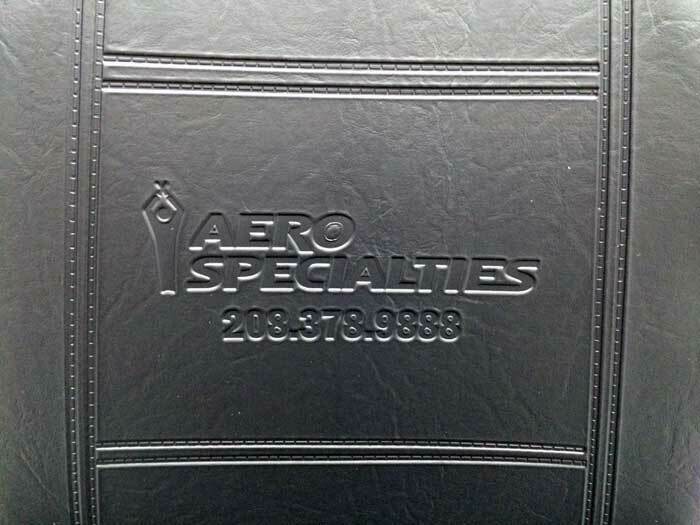 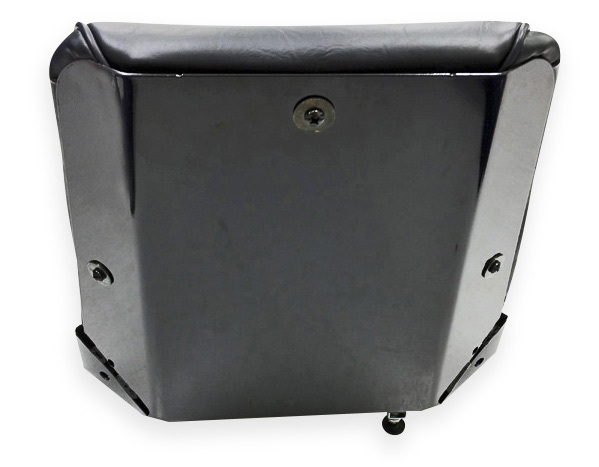 Adjustable Equipment Bucket Seat with AERO Specialties logo. 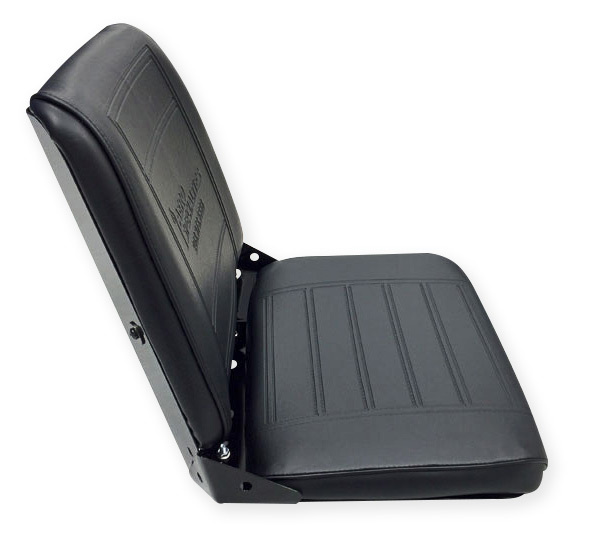 Foam cushioning and rugged upholstery designed for comfortable open-cab use. 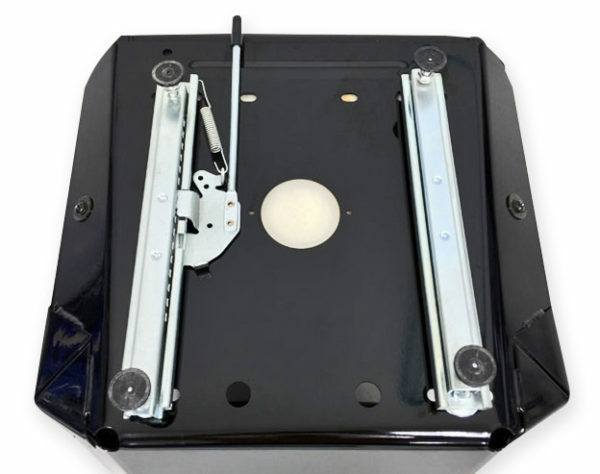 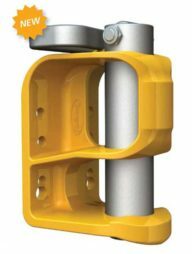 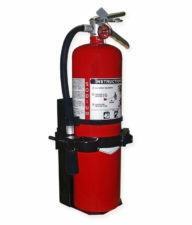 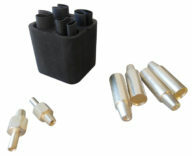 Fire Extinguisher Mounting Kit, 10 lbs.